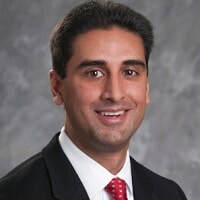 Arun is a corporate marketing and communications executive with over 10 years of domestic and international experience in creating long-term value for leading corporations such as Northwestern Mutual and media outlets including Fox News Channel, Fox Business, CNBC, and ABC News. He positions Digital Marketing and Communications at the heart of his company's business strategy through development and implementation of public relations and brand management strategies, including thought leadership, media relations, and executive media training. He has created and maintained collaborative relationships with senior executives and business units to ensure alignment, integration, and appropriate timing of messages. In his current role, he supervises the digital marketing efforts across all of Bankers Financial Corporation (BFC). That includes serving as owner of the marketing technology roadmap (Salesforce), marketing clouds, social media, and various applications to drive efficiencies and sales.